Fill out the form to receive more information on the Israel Summit 2019. *Prices are per person based on double occupancy. Single rooms are subject to availability at an additional cost of $1100. Fuel surcharges and airport taxes at $710 are included (subject to change). Round trip airfare from Toronto, hotel accommodation, breakfast and dinner daily. 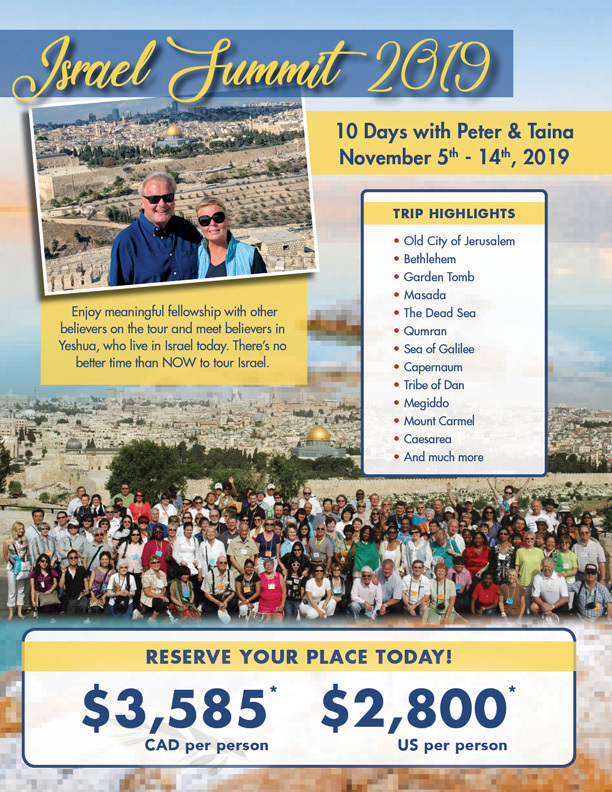 All entrance fees mentioned in itinerary, sightseeing by deluxe air-conditioned private motor coach, licensed English speaking Israeli guide, 1 piece of luggage per person, hotel gratuities. Voluntary gratuities (other than hotel), other personal expenses, and daily lunches.